We all want to breathe clean air and be healthy. You might associate poor air quality as something you only have to worry about outside. However, studies have shown that we are more likely to be exposed to harmful toxins while we are inside our own homes. Here are five ways you can improve indoor air quality in your home. Bringing in some fresh air rids your home of harmful toxins and makes your home feel refreshed. If it is really cold outside, your home will still benefit from opening the windows for a few minutes a day. You can even turn off the heater for a few minutes, so it won’t be working overtime to compensate for the cooler air rushing in. You will notice a difference in a matter of minutes. Did you know that placing some houseplants around your home can improve indoor air quality? 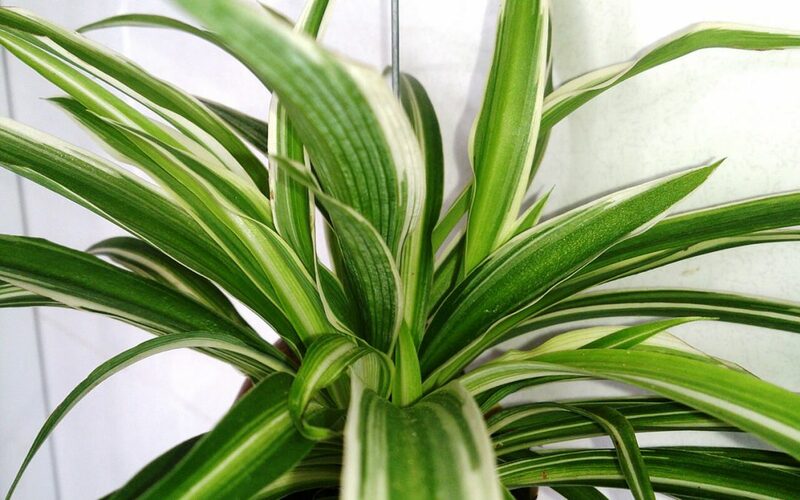 Houseplants help purify the air by eliminating dangerous pollutants. Think of houseplants as a natural air filter that keeps your home circulating clean oxygen to breathe. A clean home both makes you happy and helps promote better air quality. Natural cleansers such as vinegar, lemon juice, and baking soda can go a long way to keep the surfaces in your home pristine. Avoid using chemical cleaners that contain VOCs; these affect your indoor air quality negatively. Dust at least once a week to remove allergens, pet dander, and fine particles from your surfaces. Be consistent cleaning floors and vacuuming the carpet. If you take the extra steps to keep your home clean, you will improve indoor air quality in all areas of your home. If your home has high humidity, you’re more likely to have a mold or mildew problem. Mold spores float around in the air and can cause respiratory issues, such as asthma. For many, the hot summers are a time of year when humid conditions are more likely. You can combat this with a reliable dehumidifier that will create a more comfortable environment and improve indoor air quality. If you are a smoker, refrain from smoking indoors. Cigarettes have thousands of harmful chemicals that can cause respiratory-related illnesses for smokers and non-smokers alike. Secondhand smoke is dangerous to everyone who breathes it. Only smoke outside away from open doors and windows. You can improve indoor air quality by following these tips. You and your family will appreciate the benefits of breathing cleaner, fresher air. HTown Home Inspections provides home inspection services to the Greater Houston area. Contact us to book an appointment.